Viggo Mortensen stars as a father of six in “Captain Fantastic,” winner of the Seattle International Film festival’s top award. (Photo by Cathy Kanavy/Bleecker Street). 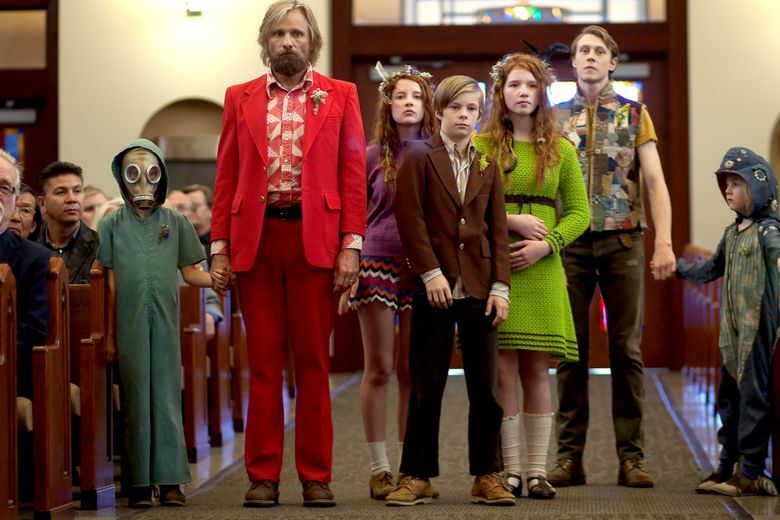 At the close of the 25-day Seattle International Film Festival, “Captain Fantastic,” the story of a Northwest family, was named best film. Audience members at the Seattle International Film Festival have spoken: “Captain Fantastic,” a tale of an unconventional Northwest family starring Viggo Mortensen, was their favorite film this year. Directed by Matt Ross and filmed partly in the Pacific Northwest, the film was the winner of the audience-voted Golden Space Needle award for best film, awarded Sunday on the festival’s final day. It was also No. 2 in the “Fool Serious” awards, voted on by SIFF’s die-hard full-series passholders, who saw an average of 67 films each during the three-and-a-half-week festival. The passholders’ top vote on their “most liked” list went to a film that cannot be named, other than “Secret #3.” It screened as part of SIFF’s Secret Festival, a special fest-within-the-fest whose attendees must sign a pledge agreeing to not disclose the titles of the films they will see. The passholders also gave the best-actress nod to Hernandez, naming her “Between Sea and Land” co-star Manolo Cruz as best actor. They named Anne Fontaine (“The Innocents”) as best director, and “Tower” as top documentary. “Spy Time” earned their distinction of best guilty pleasure. The festival, in its 42nd year, included 421 films from 85 countries, screening at more than a dozen different venues in and around Seattle. Beginning June 17, a “Best of SIFF” selection of films from the festival will screen at SIFF Cinema at the Uptown. “Captain Fantastic” is currently scheduled to open locally on July 15. For more information on the festival and the 2016 awards, see siff.net.